For the second year, the Sharlot Hall Museum is offering “A Day in the Life” program on June 23 and 24, 9:30 to 3:30 p.m. 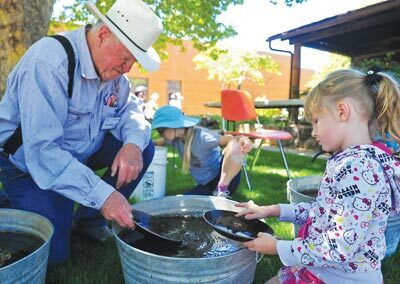 This program is designed to allow children, ages 6 to 13, to learn about the work and games of both Yavapai and pioneer children during the 19th century. The two-day program involves fun, educational activities such as archery, sewing, reading animal footprints, Victorian games, and butter churning. It is a cross cultural program and the participants will be home schooled youth, as well as children from the Yavapai Prescott Indian Tribe. Enrollment is limited to 15 homeschooled and 15 Yavapai youngsters. Children from the same family within the age range of 6-13 may attend. We recommend not bringing younger children, such as toddlers and infants, because they will not be able to join in the activities. One parent from each family may stay at the museum during the program, but this is not required. There will be no charge for the event. Participants will need to bring their own lunch one day, and lunch will be provided another day. To learn more about the program and to register, please contact Mary Melcher at marym@sharlot.org or (928-445-3122, ext. 29) Sharlot Hall Museum, 415 W. Gurley St., Prescott, AZ 86301.